Our Lady of the Holy Rosary Church Volunteers prepare, serve, and share a meal monthly with those at the Dorothy Day House of Youngtown Ohio. If you are considing taking part in this ministry please call the parish office for more information. The mission of the Catholic Worker Initiative is to feed the hungry, shelter the homeless, care for the sick, clothe the naked, visit the prisoner and work to expose and eradicate the injustices, systemic and otherwise that plague the vast majority of our human family. 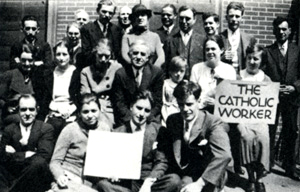 The Catholic Worker is about the belief in the sacred dignity of each and every human being on the planet, period. In a culture that worships material success, wealth and comfort, Catholic Workers seek to embrace poverty voluntarily as a way of growing closer to God and all God’s children. 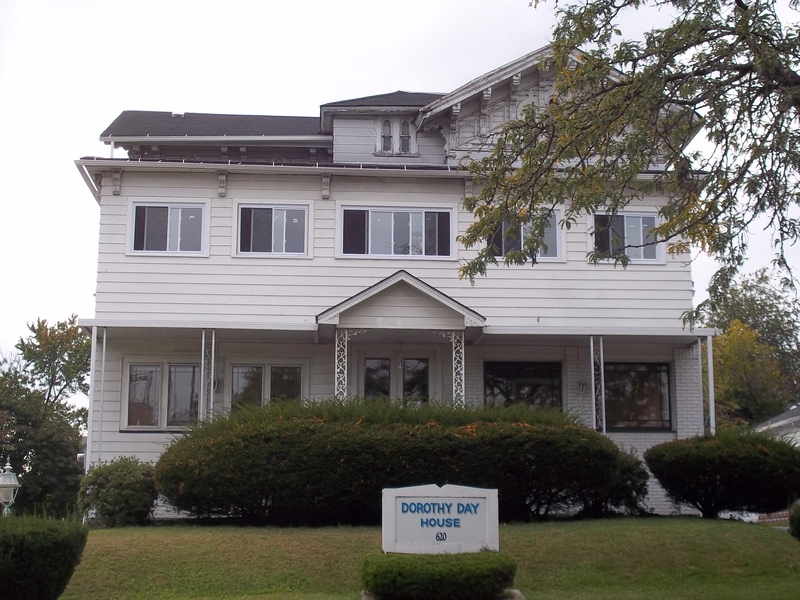 The Dorothy Day House of Hospitality opened its doors on November 22, 2009. Our hospitality consists of an evening meal, coffee, a safe place to relax, access to a shower, the opportunity to plant and harvest a garden, and most of all a warm welcome with the offer of friendship and the promise of respect for everyone who walks through our doors. Dinner is served Monday-Thursday from 5:00 to 6:30 PM, and we often serve 100 guests in an evening. Free showers are offered on Tuesday afternoons from 2:00 to 4:45 PM.